Although it gives its name to a very successful 1970s sitcom, the reality of rising damp is far from amusing. Of course, prevention is better than cure and the importance of employing a registered contractor to install the best quality damp coursing systems cannot be overstated. However, if rising damp is present it must be treated and a new chemical damp proof must be applied. Damp proofing cream is a simple yet effective solution to the problem of rising damp. Damp-Cure DPC cream products are an active rising damp treatment that migrates fully into walls, forming a secure, durable chemical damp proof course. 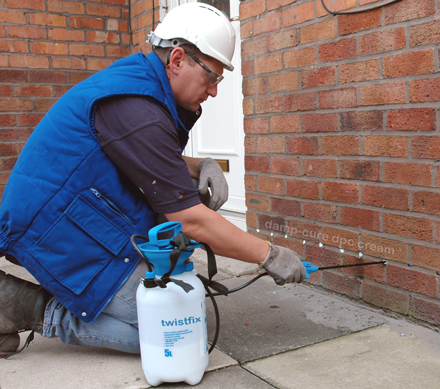 Twisfix supply a wide range of damp proofing creams, waterproof membranes and accessories at trade prices. Although the selection is extensive, it forms only a small part of the vast array of damp proofing, mould removal and crack stitching solutions we provide. 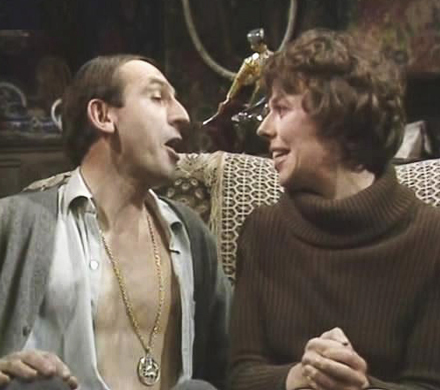 Damp should be eradicated entirely at the earliest stage to avoid a property becoming practically unliveable like the grotty house in the TV comedy ‘Rising Damp‘. Twistfix are dedicated to ensuring complete satisfaction and security from our products. Our expert team are always on hand to assist and advise on all of our products and services: please do not hesitate to contact us for any further information you require. For more information concerning rising damp please contact us on 0845 123 6007 or email info@twistfix.co.uk.